I've actually never heard of them before! Thanks for sharing, I do love their vintage-esque jewellery! I love all the french, paris, eiffel tower items they have, so cute! especially the ones with little phrases and quotes in french! ohhhh I love everything from les jumelles!! vintage piano, le petit cheval and carousel would have to be my favorites!! Really nice! My favorite is the 'combien tu m'aimes' necklace! They've got such beautiful pieces! My favorite piece is the Le petit oiseau-bracelet! I follow you on bloglovin' as of quite recently and am really enjoying your blog! Superleuke give away! Les Jumelles heeft zulke leuke dingen! Dit is mijn favoriete item! Ik vind de Romantic time necklace het mooist ! I love them...all their jewellery is so lovely and cute. that's my favourite! Awesome give-away and Site! Oh, awesome, another Les Jumelles giveaway! My favorite item is the "La libertée Argentée" necklace. i think my fave piece is the Paradis necklace. Love the color. I honestly never hurt of them before. But they have pretty, original jewelry. But I like especially the Hélène. their stuff is so amazing. i loved the vintage butterfly necklace, but its all sold out :( but i also adore the C'est la vie -bracelet. love it <3 great giveaway ! Their shop is too cute ! I'm following you on Google Friend Connect . I love the 15 façons de te dire je t'aime necklace! it's lovely. I follow your blog and I liked Les Jumelles on facebook. *crosses fingers* I hope I win. im in absolute love with the love potion necklace, and like the ENTIRE store! How adorable! And consider myself a fan! http://lesjumellesboutique.bigcartel.com/product/so-retro I love it !!! Yiihhaa another Les Jumelles giveaway! My favorite is the Piano vintage. My favourite is the Antique Gold Victorian Miniature Purse necklace - the intricate patterns engraved on it make it exceptional! They have amazing things! My favourite is "L'éventail argenté"
They have such pretty jewelry! My favourite is the Alice in Wonderland inspired 'Drink Me' necklace... thanks for doing this giveaway! I love the c'est la vie bracelet! so sweet. I love Souvenirs d'enfance necklace! I'm a GFC follower, and I liked them on facebook. My favorite item would be the Le Papillon necklace! So pretty! Hello! I'm following you on bloglovin, your blog is definitely one of my very favourites. I love la libertée argentée and the little carousel necklace. this lovely necklace with an old singer sewing machine figurine on it! so pretty, and it has a longer chain too. love it..favorite item would have to be the lion bracelet of the bird bracelet that your giving away! following them and you of course. would love to win this steal! i absolutely adore the 'romantic time' necklace. I love the alice and wonderland things but my favorite is the Vintage perfume bottle-jumper! Of course I am following you already through both. I love their necklaces! My favourite is the Alice in Wonderland inspired necklace (http://lesjumellesboutique.bigcartel.com/product/alice-in-wonderland-inspired), I'm a follower of your blog via GFc and I like Les Jumelles on FB (my profile: Flora Sturla). Thanks for this fantastic giveaway! It is so difficult to choose a favorite when everything is so beautiful, but my favorite would have to be the Les Fleurs vintage. Such a pretty shop! I personally love the "Romantic time." Ohh I adore the piano!!! I love love love La Baronne! Following you and fan of Fan of Les Jumelles. this is an amazing giveway!!! My favorits is the vintage piano! I liked the fan page, also following you through GFC. My favorite is medallion dorothy! so beautiful! i love that style of jewellery and the bracelet vintage "Legende" is the best for me. i really like the le sifflet vintage. my favourite is "souvenirs d'enfance"
gosh yes! I love them and every single piece of their creations! I'm following you a long time! And i'm a fan on facebook.. I like the Medaillon Dorothy with the red shoes..so pretty! I like the silver 'Telvita By Les Jumelles' with the Tour Eiffel!!! Oh everything is so lovely!! My fav is the carousal and the vintage piano! I love the Sautoir bouteille parfum in silver. It's beautiful! It's really difficult to choose only one of the things they have because everything is wonderful, but finally I chose the one called Souvenirs d'enfance. Thanks for the giveaway and congrats for the blog. I'm following you on bloglovin, and I'm allready a fan of les jumelles on facebook! I love the Machine à coudre! But really, everything there is so adorable, its hard to choose. Les Jumelles - Lovely shop! Lovely things! It was hard to choose but my favorite thing would have to be The Secret of my grandmother silver. This looks so simple and beautiful! 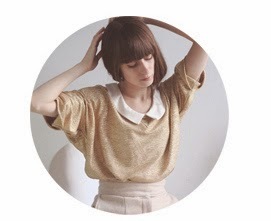 It's a lucky thing for me to stumble upon your blog because I love vintage-related stuff too! Thanks so much for this giveaway! I really like the Bracelet Woodstock, which has the red peace sign on it. That is such a great giveaway idea! I love the Coup de coeur necklace from them, but it was very hard to choose. Follow them on FB and your blog via Google. Everything from Les Jumelles is adorable! I love that 'Le carrousel' so much! My favourite is Madallion Les fleurs-papillon, closely followed by the Machine a Coudre ! Well, I hope I´m in time.